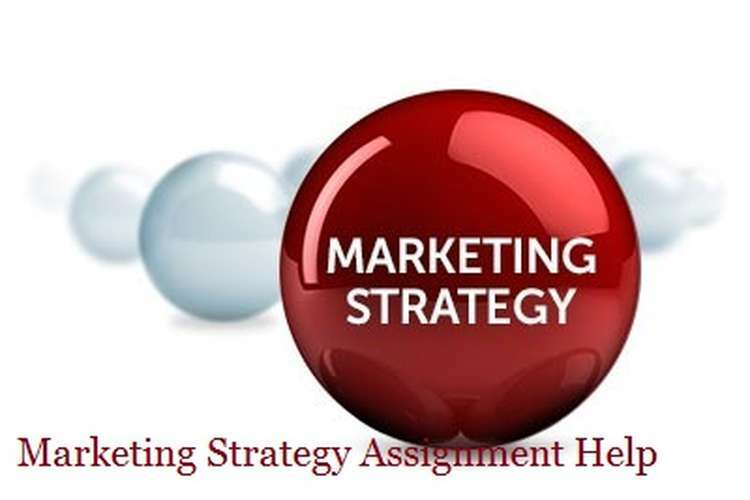 This marketing strategies assignment help essay discuss over the certain marketing strategies used by companies and also explains about various activities which are required in marketing field to achieve organizational goals or objectives and throw lights over the business model adopted by organizations. Segmentation, targeting and positioning are marketing principle tools which are used by the organizations to establish and develop their business. Generally before starting any business it is important for organization to decide whether to sever mass market or particular segment, hence proper segmentation of market should be done. Segmentation, targeting and positioning are interrelated to each other because market segmentation develops segment profiles, targeting helps in selecting specific market and marketing positioning develops a market mix for each segment. Through segmentation companies divide markets into small segments so that they can easily provide effective services to the customers (Kotler 2003). Targeting refers to the specific industry where a company wants to sell its products and services and it also includes targeted set of customers for whom company plan its marketing strategy. Companies target customers based on their interest, hobbies and needs. Positioning refers to the concept of developing strategies to find the demand and position of particular product in the market. It includes identifying all segments for products and services and the main objective is to find attractive markets. There are many ways to segment the market which are based on following factors. Demographic - This can be achieved by considering personal attributes such as age, marital status, gender, education or occupation, etc. Behavioral- By identifying people’s choice, interest, product usage, etc. Once the segmentation of market is done then the organizations aim to develop marketing strategies and promotional schemes to target particular segments, this process is called targeting. Targeting is basically the second step and generally focused on to serve the selected customers. Organizations plan various marketing strategies and schemes to attract customers. For example, Apple offers high profile services to their customers by providing latest IPhones and laptops. They understand their customer’s interest and each of their products fulfills the needs and expectations of the target market. Positioning is the last element of the STP model. It is very important for the organization to measure the significance and market rating of the products and services. Therefore companies build strategies to create an image of their products to impress the customers and this can achieved by promotional activities, price, and offers and providing valuable services. For example, Apple Inc. has developed itself as user friendly computer manufacturing company and has done number of promotional activities and advertisements to catch the eye of customers. Many companies have utilized these elements and developed their business at national and international level. The whole STP process i.e. segmentation, targeting and positioning are basis of marketing mix. The STP model plays an important in business to align the product with the right customers. It is very difficult for the companies to stand if they have resemblance to each and every product in the market. Therefore companies are required to differentiate among other competitors and develop précised strategies to establish their business (Lynn, 2011). 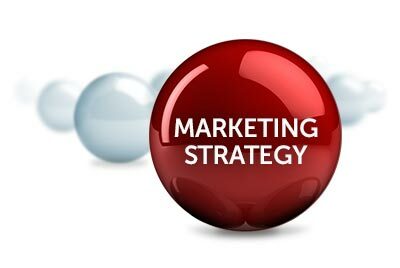 Marketing mix principles are used by companies to meet the changing needs of target market. The model is very useful, helping companies to develop a mix package of variables which not only fulfill the customer’s needs but also boost the profit and performance of the company. The main aim of STP model is to guide the organization for the proper development and implementation of marketing mix. The STP model explains the links between the overall market and policies adopted by company to compete that particular segment of market. Organizations should identify a market and find the right potential customers. There many types of customers who have different interest, so to develop strategies organizations need to focus the elements of STP model. IKEA, the largest furniture retailer company was founded in 1943 and still serving the mass market. IKEA is a privately held, international home products retailer that sells flat pack furniture, accessories, and bathroom and kitchen items in their retail stores across the world. The company has opened first furniture store in Sweden and later developed business in countries like Norway, Denmark and other parts of Europe. Since then there is amazing growth has been observed in the production of the company. There are near about 384 retail stores has successfully operated in 48 countries. The Ikea group has target the particular segment of market and developed strategies accordingly (Davies-Cole, 2007). Researchers has studied the growth of company and their mission of providing wide range of well-designed home furnishing products at low prices so that each and every segment of population can be served. The company has also faced competitions from other retail giants like Wal-Mart and other online retailers. IKEA target international market with proper segmentation and research which enables them to monitor particular segments and planned strategies for future. Wal-Mart which is an American multinational retail corporation has developed chain of retail stores in many parts of the world and running successfully having 11,539 stores in 28 countries (Lutz, 2015). But the difference in market segments between IKEA and Wal-Mart makes them apart because IKEA focused mainly on furnished home furniture and Wal-Mart comprised of electronics, clothing, furniture, etc. Literally Ikeas has done more study on segmentation, targeting and positioning of their services and products. Johnson & Johnson which is an American multinational corporation operates in three broader categories; consumer healthcare, medical devices and pharmaceuticals. Operating in over 50 countries, Johnson and Johnson has ranked 4 times in fortune top 10 multinational corporations. As explained earlier Johnson & Johnson has segmented into three departments which include consumer products, pharmaceutical products and equipment related to medical equipment’s. In order to meet the customer’s requirements the company has systematic and well organized distribution channel. They have also utilized modern technology by selling their products on various online portals and shopping websites (Benson, 2015). J&J always focused on branding of its products by increasing consumer awareness, by proper marketing strategies, advertising and promotional activities, good product availability and visibility. J&J attract customers by lucrative offers, competitive schemes and by providing better quality of products at reasonable rates. All J&J products are easily available at retail outlets, whole sellers and modern markets like Metro Cash & Carry. The aim of company is to target each and every section of society which makes it brand effective as compared to other brands in the market. J&J work with the government to develop wide range of prices of the products so that they can serve the low profile. In order to analyze the value of their products, J&J has different departments which take care of various factors like production cost, demand and supply, targeted segment of the society and consumer’s economic condition (Horwood, 2014). With growing competition J&J has done more work on consumer awareness and promotional activities through strong and eye-catching message in the advertisement. Hence both Ikea and Johnson & Johnson are experienced corporations in their specialization and are still generating huge amount of revenue and dominating the market by give tough competition to the new organizations. They have continuously changed their business model according to the needs of the customers and never let them go. The basic reason behind their success is proper market analysis and better selection of industry for investment. It is concluded that STP is basically a tool and a decision process which guided organizations to develop marketing mix. It is also suggested that this process should be took place in systematic order because it allows the organizations and marketing consultants or employees to develop strategies that bind company, brand and product benefits to particular customer market segments. The four Ps principle of marketing mix is very helpful to start planning for any new product or to analyze an existing product offering. Ikea and Johnson & Johnson are two leading corporations which are example of successful marketing mix. They regularly change their strategies to meet the customer’s demand and satisfy them by valuable services. They have wide range of product which enables them to reach each and every segment of population. Davies-Cole, A. (2007) Ikea’s new marketing campaign ‘remarkably similar’ to strategy used by Scots-led firm (online) available at https://web.archive.org/web/20071011011621/http://www.sundayherald.com/business/businessnews/display.var.1741413.0.ikeas_new_marketing_campaign_remarkably_similar_to_strategy_used_by_scotsled_firm.php last accessed on 24 Aug 2016.